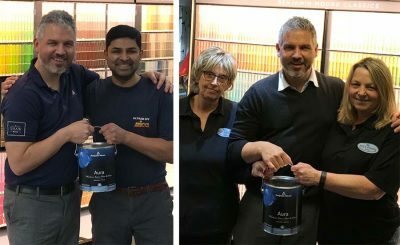 Benjamin Moore UK (Shaw Paints) has announced the appointment of two new stockists, Eltham DIY and Mik’s Paints Ltd, as authorised stockists of Benjamin Moore Paints. Mik’s Paints Ltd and Eltham DIY bring Shaw Paints’ retail partners to a total of eight in the UK. Both Mik’s Paints Ltd and Eltham DIY will now have a Benjamin Moore colour display in store and stock many of Benjamin Moore’s professional paint lines, including Ultra Spec Scuff-X, Advance and Ceiling paint.